JMS recently completed Phase II of a multi-phase project to assist the Independence Seaport Museum (ISM) in their efforts to fully restore the 19th century cruiser, U.S.S. Olympia. Commissioned in 1895 this floating historic landmark is now docked at Penn’s landing in Philadelphia. Olympia is the oldest steel warship afloat today and has seen little in the way of hull or structural attention since its last dry-docking in 1945. The first phase of the restoration project involved building a ‘historically accurate’ HECSALV model of the Olympia. Working from dozens of rare ship blueprints, original engineering documents and information gathered from a thorough ship survey, JMS engineers developed a baseline engineering model in HECSALV. With this model JMS engineers were able to determine the strength and stability of the ‘as built’ vessel as compared to its current condition. Phase II of the project utilized the HECSALV salvage engineering model to examine various potential hazards to the vessel, such as flooding from fire fighting or hull breach, icing on deck, wind/heel loading, etc., that could jeopardize the vessel while at the pier or during her eventual transit to shipyard. The upcoming phase III will involve an extensive ship survey and analysis to determine watertight bulkhead restoration to be done pier-side or at the shipyard. The remaining phases include development of damage control requirements for dewatering and firefighting equipment, a shore-based response management team, a damage control team, a shipboard salvage and firefighting organization and a detailed Marine Casualty Response Manual. 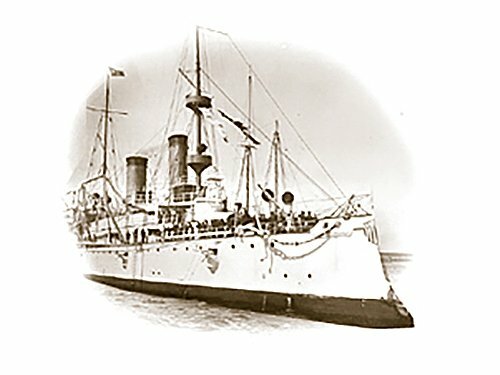 The exhibit side of the museum is also considering using JMS to design an interactive exhibit consisting of 3D animated displays to illustrate the design and operation of the Olympia and virtual reality simulators for museum goers to experience what it was like to operate the warship’s guns.